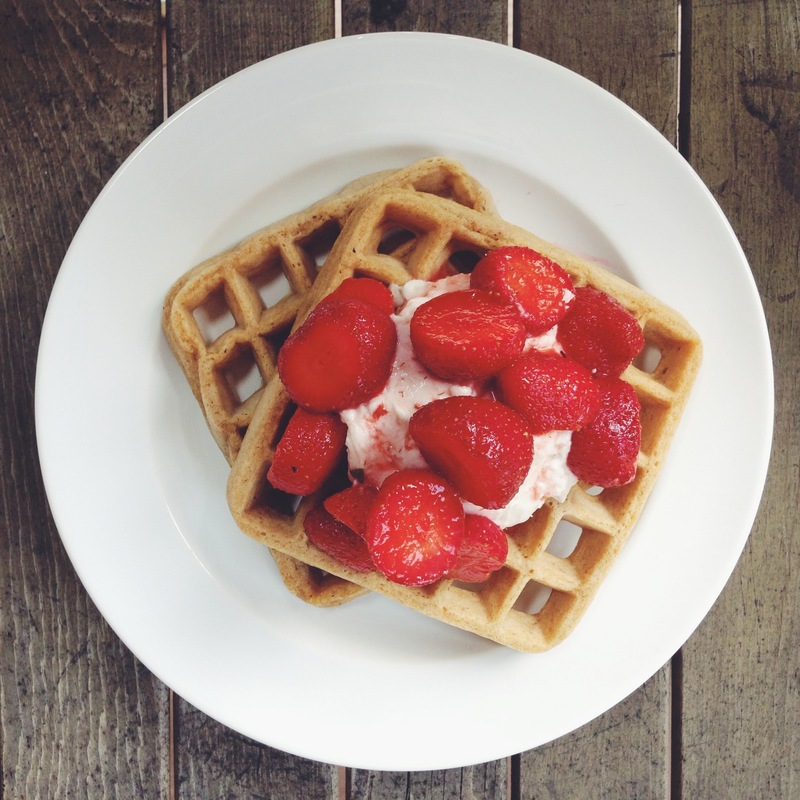 These waffles take on the weight of coconut whipped cream and loads of strawberries with ease, so be generous with the toppings. They can take it. The batter is quite thick, but it puffs up as it cooks, making a crisp, nutty waffle. *Please be sure to read the instructions that came with your waffle maker, if you’ve never used it before. Place the cookie sheet in the oven, on the middle rack, and preheat to 200F. Preheat the waffle maker to its hottest setting. In a large bowl add the dry ingredients and whisk together till well combined. Add the wet ingredients to the dry, and mix till smooth. Once the waffle maker is preheated, brush coconut oil with a pastry brush onto the individual griddle irons. I ladle about a half to three quarters of a cup of batter in (if you’ve never used your waffle maker before, err on the low side so your batter doesn’t overflow when you close it). Cook the waffles until they’re crispy and browned. (Please take care to cook the waffles till they’re quite brown. There’s nothing sadder than an undercooked waffle.) Remove (carefully!) from the griddle irons with tongs or chopsticks. Set the waffles aside on the cookie sheet in the preheated oven. Repeat the above paragraph until all the waffles are cooked. 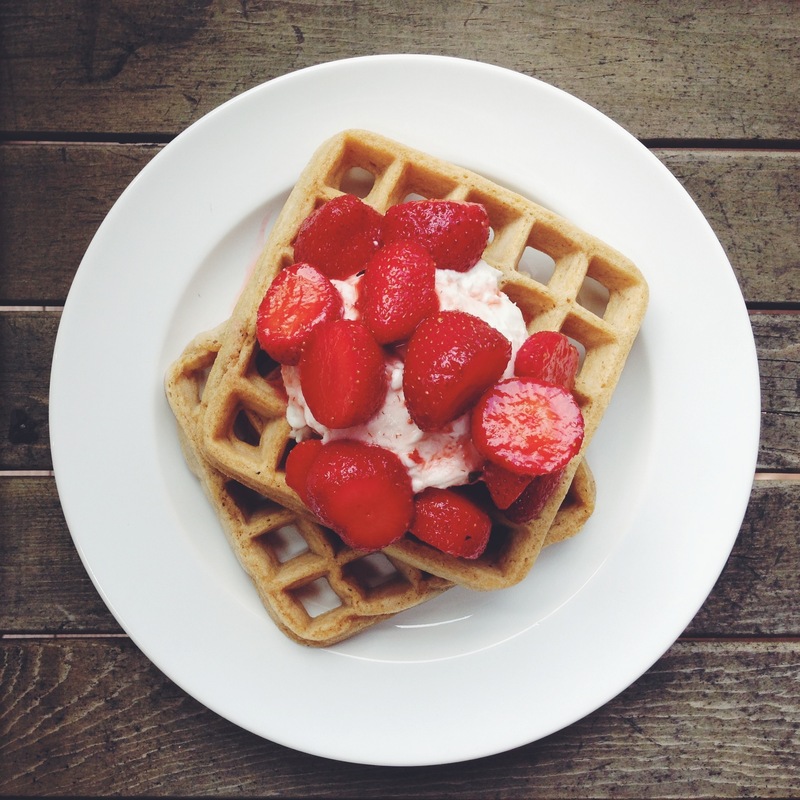 Plate the waffles and serve immediately, with a generous dollop coconut whipped cream and loads of strawberries. I don’t think I’ve ever had wheat waffles. I must try them one day. I always think they’re not going to taste very good. Love the recipe, and the “positional” pictures are absolutely priceless, haha! These look delicious! I’ve had a craving for waffles and have always wanted to try coconut whip cream. The story and photos made me laugh, too. I too am a bed hogger who’s been known to push my partner clear off the side in my sleep. I believe that bed hoggers have the best of intentions. You know, like keeping sheets warm. And um…stuff. Haha. Thanks for reading! Hahaha! 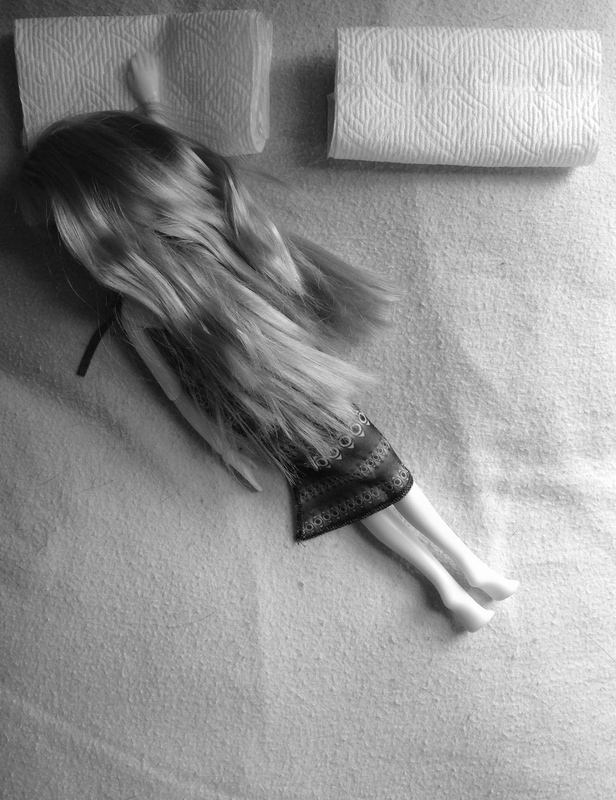 The use of the Barbie doll. Wait, isn’t that a Bratz? I never noticed before how much they look like “whore dolls.” Maybe it’s the bed… Lol!! Haha, they are definitely quite mature looking for your average 6 year old. 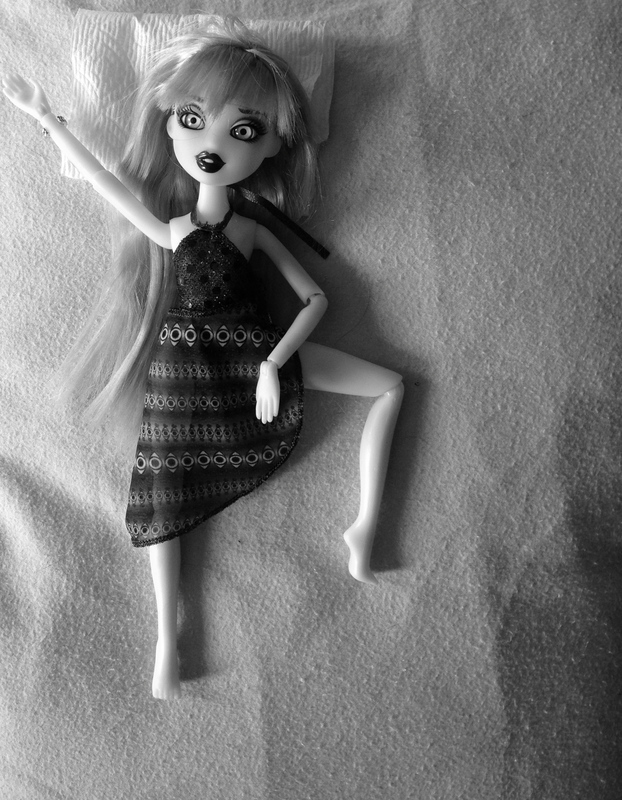 And yes, I totally didn’t help by making the Bratz doll pose all splay-legged.